Over the years Muller Martini have increased the output speeds of their saddel stitching machines. In so doing the stitcher heads have to been improved to match speed requirements of the machines. They to have been redisigned to aid in the quick setup ands changeover of differnet production formats. We will in this short article identify the different designs and type of heads in the New Q series of Muller Martini stitching heads supplied by Thunderbolt. If you require information on heads and compatibility of you machines please cantact out spare parts department through our webpage for assistance. www.thunderbolt.co.za or mail a request to solutions@thunderbolt.co.za. 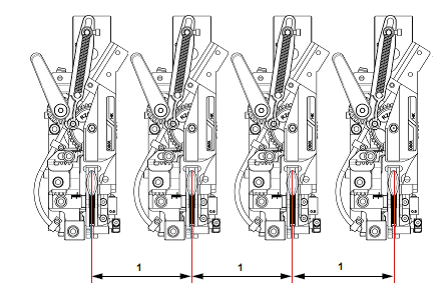 We have 3 main size and variation in our stitcher head line up for conventional saddle stitching machine. This head is of the 0881 series of stitcher head. The HK75 name refeers to the min staple distance between staple centres. 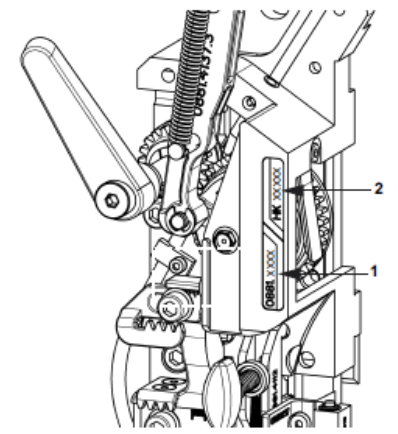 The head is generally used where between 2 and 4 heads are used on a campatible Muller Martini stitcher line. Number of heads used per machine is dependant on the actual machines capacity for quantity of stitcher heads used for production. Please always refer to the machines technical specification or contact us for varification. Staple description of HK75 stitcher head. This head is of the 0305 series of stitcher head. The HK45 name refeers to the min staple distance between staple centres. The head is generally used where between 2 and 6 heads are used on a campatible Muller Martini stitcher line. 6 heads are used for 3 up production using* Trio cut on campatible machines. Please enquire if you are interest in the *Trio cut option for compatible Muller Martini 3 knife trimmer on Stitching lines. 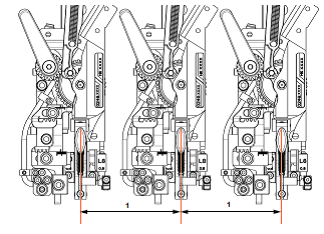 Staple description of HK45 stitcher head. This head is of the 0249 series of stitcher head. Staple description of HKOeQ6/8 stitcher head.